Life is Divine Play is a memoir that shares one man's forty-year spiritual journey that began in the Eastern United States and ultimately led him to the Orient where he met his principle Daoist master and teacher. Mark Johnson begins his inspiring life story with details of his humble beginnings, growing up in a middle-class family in a small coal-mining town in Pennsylvania. He continues with his psychic and spiritual development in a Hindu ashram in Florida during the 1960s. After meditating with a famous Zen Buddhist in California, Johnson provides insight into his training with a powerful Daoist/Wizard in Taiwan and later in the wild and dangerous hills of Malibu, California. He, like so many of his generation, found his richest spiritual inspiration in Eastern philosophy and not only reveals the profound and valuable concepts he learned from his mentors, he includes ways to apply his insights to everyday life situations in a humorous and playful manner. As Johnson shares the details from his incredible lifelong odyssey, he inspires and encourages others to seek a life of play where they too might find the same peace that he once sought and eventually found. 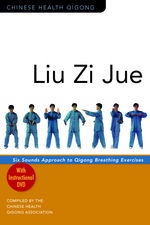 The most unique and complete volume ever written in the English language on Qigong (Chi Kung), the attainment of energy. It is a volume that you can refer to over and over again for all your energy studies. 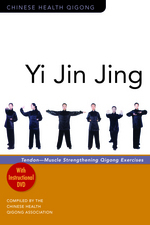 This book includes all the major energy training schools in ancient China: 1. Medical Qigong theories and training methods to strengthen the organs and to rejuvenate overall health. 2. Taoist Qigong cultivation and training outline, from the basic to the most profound methods, to foster Essence, Qi, and Spirit. 3. Buddhist Qigong empowering methods to develop the Esoteric Abilities of the Body, Speech, and Mind. 4. Emitting, Absorbing, and Healing Qigong to develop your healing ability. 5. Wushu (martial arts) Iron Shirt, Iron Palm, Iron Fist Qigong for developing your ultimate physical potential.